War is never easy. Its heroes are often remembered for their patriotism and valor when the men and women return home from the battlefield. 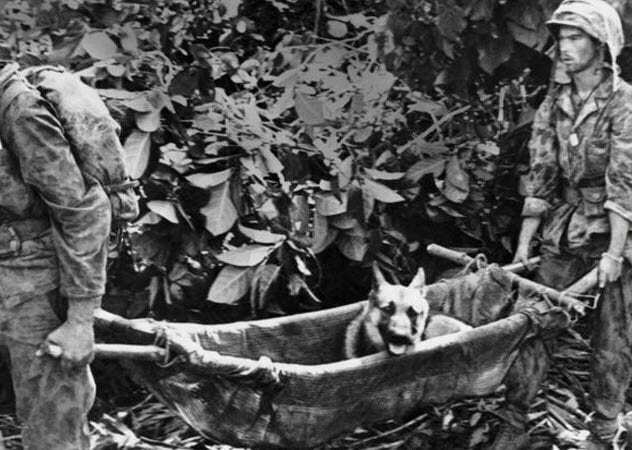 There are other military heroes, however, that often go unsung: the dogs of war. Here are 10 stories out of the thousands of dogs who work with soldiers all over the world. During World War I, a group of American soldiers were training in Connecticut at Camp Yale. A curious bull-Boston terrier mix wandered into the encampment and became friends with the men. They decided to name him “Stubby” and grew so attached to the dog that they smuggled him on a ship when they were deployed to France. Even without any proper military dog training, Stubby was immediately an asset to the soldiers, barking warnings of German attacks. One time, Stubby grabbed the pants of a German spy and refused to let him escape. Stubby also went in the trenches in Europe, participating in 17 battles. 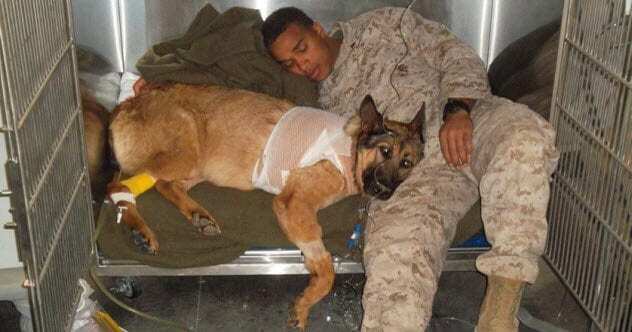 He got injured in the leg by a grenade and was hospitalized multiple times from gas attacks. Despite these injuries, Stubby continued to help the soldiers. Women in France sewed Stubby his own uniform and included medals for his various achievements, including a cheeky Iron Cross that someone found (which was typically a German award). After one too many times in the hospital, the soldiers were concerned for Stubby’s safety. Corporal J. Robert Conroy, who took care of him, brought Stubby back to the United States. 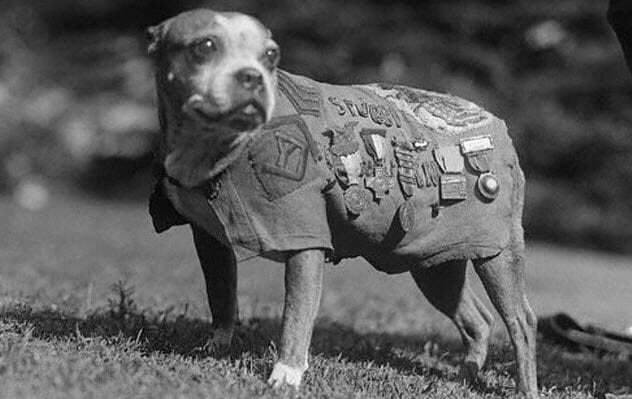 Stubby began walking in many parades for the American Legion, proudly wearing the uniform shining with his awards. When Conroy attended law school at Georgetown after the war, they made Stubby a mascot of the university and he participated in halftime shows at football games. For the rest of his life, Stubby was invited to multiple events, met three different presidents, and received love and adoration all over the country. Judy was a purebred English pointer aboard a British naval ship. When it was bombed by the Japanese in 1942, Judy helped soldiers who could not swim by carrying their bodies one by one to the shore of a deserted island in the South China Sea. For days, the surviving soldiers searched for food and water. Then Judy sniffed out a freshwater spring. The group began to hike, looking for any signs of human life. Unfortunately, the island was the home of a Japanese village and the men were taken prisoner. Unwilling to leave Judy behind, the soldiers hid her as they were taken to a prisoner-of-war camp in Indonesia. Prisoner Frank Williams, a pilot in the Royal Navy, noticed that Judy did not have a proper owner. She was scavenging for food, so Frank decided to adopt her by giving her his food. Whenever a British prisoner was beaten by a Japanese guard, Judy would jump in to protect the prisoner, even if it meant that she would get hurt instead. Frank was terrified that the guards would eventually kill her, so he bargained to get her sanctioned as an official prisoner of war, which would guarantee that her life was spared. In 1945, after surviving three years in the prison camp and many more life-threatening adventures, Judy and Frank returned home to England, where she was awarded the Dickin Medal. Just five years later in 1950, Judy passed away from cancer. Frank wrapped her body in a Royal Air Force jacket and gave her a proper burial. Jet was a fully black German shepherd who was originally trained as an “anti-sabotage” dog. Essentially, he sniffed for bombs, preventing countless deaths before they occurred. 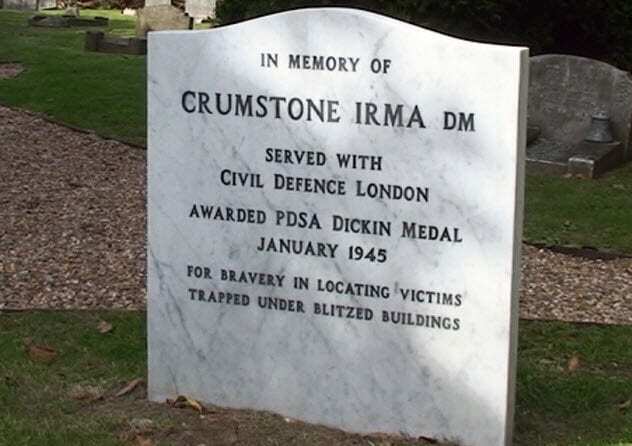 He eventually began search-and-rescue work for victims of the London Blitz air raids during World War II. Over the course of 11 hours, Jet’s team of fellow dogs rescued over 100 people in a single day when a hotel collapsed. Jet was personally responsible for 50 of those rescues. The human crew thought they had gotten everyone out, but Jet barked relentlessly to let them know that they had forgotten someone. It turns out that he was right. A woman who would have been left behind was rescued and survived, all because of Jet. He was awarded the Dickin Medal in 1945, but his work wasn’t over yet. In 1947, he saved even more people after a building exploded in Liverpool. He was given the RSPCA Medallion of Valor. When he died, his body was buried in the Calderstones Park in Liverpool. Today, a memorial with an etching of his face still stands in his honor in the park as well as a small exhibit in his honor at the Liverpool Museum. 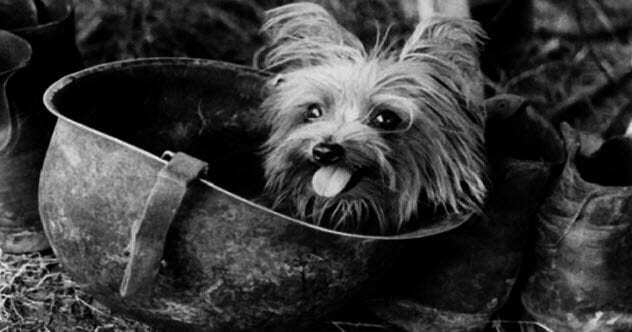 During World War II, an American soldier named Bill Wynne adopted a tiny Yorkshire terrier from New Guinea and named her Smoky. He smuggled the baseball-sized puppy to the Philippines. When the soldiers had a nearly impossible mission to complete, it was Smoky who came to the rescue. Telephone wire needed to be tunneled underground between camps so that soldiers could communicate with one another. The pipe was only 20 centimeters (8 in) wide, so there was no way that any human could fit inside. Men would need to dig, exposing themselves to enemy attacks. Rather than risk human lives, Wynne was able to tie the wire to Smoky and coax her along the way, bringing the wire where it needed to go underground. She was completely out of sight. In that week alone, Smoky saved the lives of 250 men. After that incident, Wynne became ill and ended up in a hospital. His fellow soldiers brought Smoky to him. The nurses fell in love with little Smoky. They began to take her on walks, visiting other soldiers who were sick or injured. She brightened the mood of soldiers so significantly that she became the first therapy dog. In 1947, over 700 therapy dogs were donated to military hospitals around the country. Smoky lived to the ripe old age of 14. Irma the German shepherd had begun her World War II military career as a messenger dog, bringing important letters back and forth between posts whenever phone lines were down. Noted for her intelligence and skills, she was eventually trained to search for and rescue people after air raids during the London Blitz. She was trained to bark differently if someone was dead rather than alive. She became so skilled at this that she was even able to identify a man who had been pulled from the wreckage and pronounced dead by army doctors. Irma stood over him, barking to let everyone know that he was actually alive. Thankfully, she was right and the man eventually recovered. She also knew that two little girls were still alive, stuck under the rubble of a collapsed building. Insistent on rescuing the girls, she would not give up for two days straight until they were rescued. 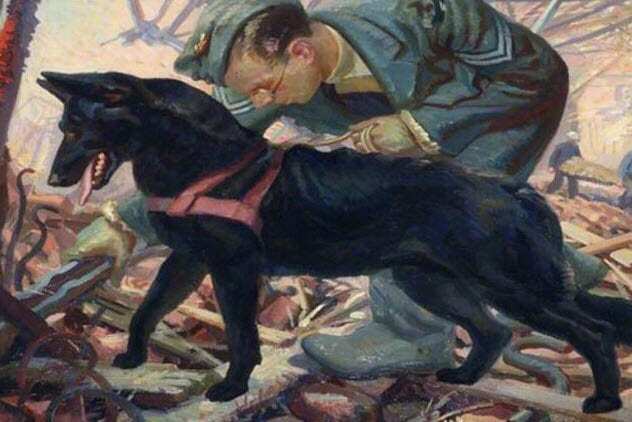 In 1945, she received the Dickin Medal for military dogs. Before World War II began, Caesar the German shepherd was so well-trained that he made deliveries for the Glazer family in the Bronx neighborhood of New York City. He would carry little packages of groceries up four flights of stairs in his mouth. The boys of the Glazer family were getting drafted into the war. Once there was a call for military dogs to join the army, they knew that Caesar’s skills were needed. At first, Caesar was a messenger dog, carrying messages between camps. Eventually, Caesar graduated to working on the battlefield. Rufus Mayo, his human handler, was asleep beside Caesar in his foxhole on an island in the Pacific. Caesar heard the approaching enemy Japanese soldiers and instinctively jumped out to protect Rufus. Waking up from Caesar’s movements, Rufus noticed that the enemy had thrown a grenade at his feet. He had just enough time to react by throwing the grenade back before it exploded. Caesar was already on the move when he was shot three times. A battle broke out, and Caesar ran off. After the conflict had ended, Rufus was able to find Caesar and take him to a surgeon. Three weeks later, Caesar recovered and returned to active duty. For years, the springer spaniel Buster had served in Bosnia, Afghanistan, and Iraq by sniffing out bombs for British soldiers. He is said to have saved thousands of lives with his skills to identify potential threats. During off-hours, Buster would walk up to many soldiers who felt comforted by his presence. 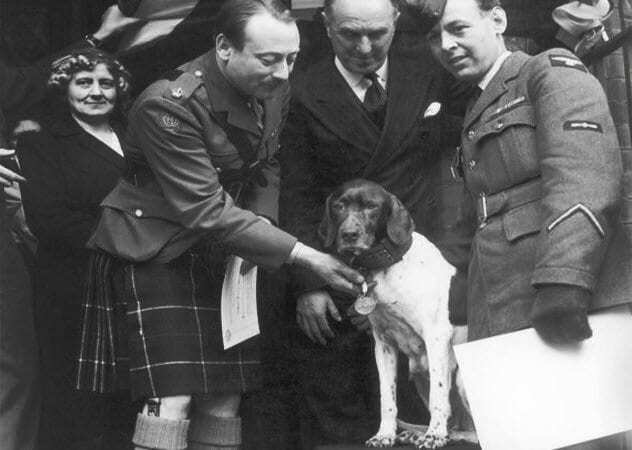 Sergeant Will Barrow was Buster’s caretaker during the war and would eventually adopt him. Having a dog around did wonders for the morale of the soldiers. Barrow discovered that many soldiers spoke to Buster about their feelings and fears when they were afraid to confide in human beings. When he retired from his military career, Buster lived with Barrow in Lincolnshire, England. Barrow believed that Buster had a form of post–traumatic stress disorder, just like many human veterans. 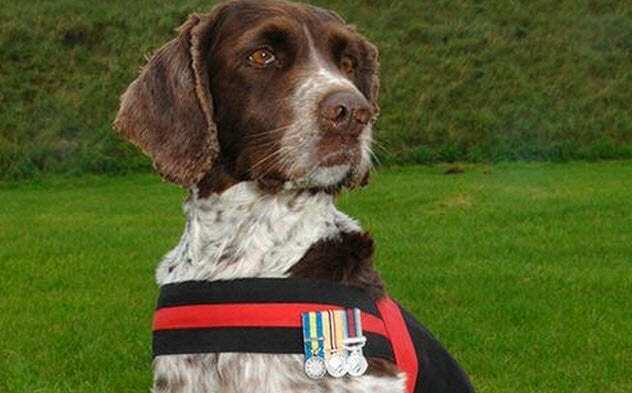 Buster was present during enemy attacks and was terrified of fireworks and loud noises even after he retired. 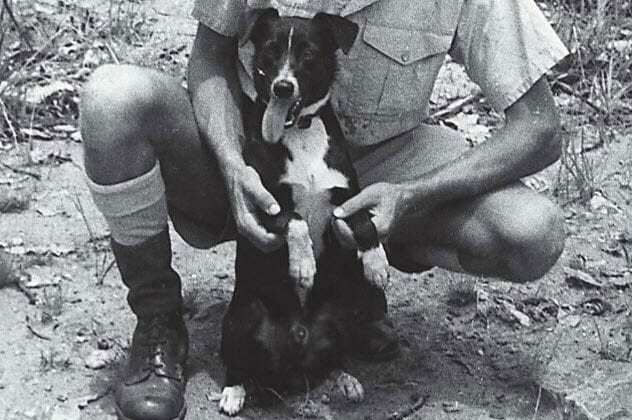 At Australia’s Darwin Air Force Base during World War II, soldiers found a stray kelpie puppy. He was only six months old and had already managed to break one of his legs. As the men nursed him back to health, they decided to name him Gunner. After living on the base as a pet for some time, Gunner began to recognize the sounds of Japanese planes. Gunner quickly learned to associate the sound of Japanese planes with oncoming danger. With his sensitive dog ears, he could hear the planes coming 20–60 minutes before they arrived. He began barking a warning for these attacks, which gave the men plenty of time to prepare to defend themselves. Gunner’s hearing was so accurate that Percy Leslie Westcott, the leading aircraftman, was given permission to sound the official air raid siren as soon as Gunner began barking of oncoming danger. Surely, the men who saved this puppy’s life never imagined that he, in turn, would save theirs. In 2012, Lucca was a US Marine Corps dog sniffing for bombs in Afghanistan. She had gone on over 400 missions successfully and saved countless lives. On her last mission, she got too close to a homemade bomb and the explosion blew off one of her legs. Corporal Juan Rodriguez was with Lucca while it happened. Rodriguez quickly made a tourniquet for Lucca’s wound and carried her to safety. Taking responsibility for the dog during her recovery, Rodriguez even slept with Lucca to make sure that she was never left alone. Her owner, Sergeant Chris Willingham, made a statement that without Lucca, he would have never made it back home to see his family again. Since then, Lucca has fully recovered. When she retired from service, she was awarded the Dickin Medal, which has only been given to 66 military dogs since the award was created in World War II. 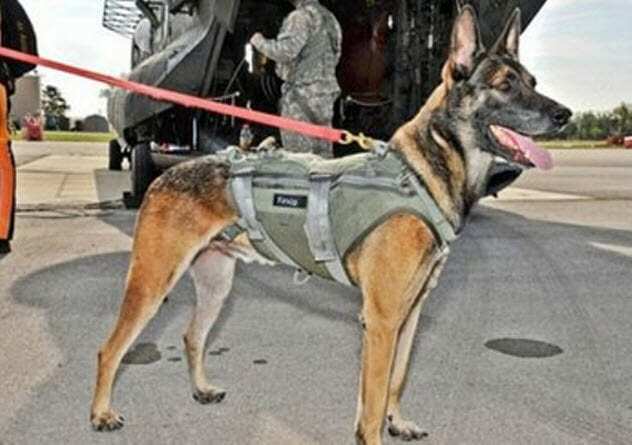 In 2011, US Special Forces soldiers were in Iraq on a top secret mission, using military dogs to sniff out bombs and potential enemy soldiers hiding underground. Cairo, a Navy SEAL–trained Belgian Malinois, was selected from a number of other qualified candidates for this very important mission. Working tirelessly night after night, Cairo needed to sniff the perimeter of a compound that was surrounded with barbed-wire fences. It was most likely booby-trapped or armed with guards, and Cairo was trained to attack enemies on command. Navy SEAL dogs are equipped with vests, which include a parachute and night vision goggles. Fully equipped with the newest technology, Cairo helped the soldiers succeed in an intense mission that made him famous around the world: finding Osama bin Laden. Now retired, Cairo has been adopted by a family who has a beagle as his playmate. Cairo helps put groceries away, carrying bags from the car to the house.